The front of my pack. Representing the good ol’ State of Maine! My favorite part of my pack? The part I won’t see for 90% of my day. The back. The part 100% of the hikers behind me will see. I’ll be the girl with the little Maine flag pinned to her pack. To me, it’s a reminder. A reminder of where I’m from and where I’m headed on this 2,185.9 mile journey: Home. 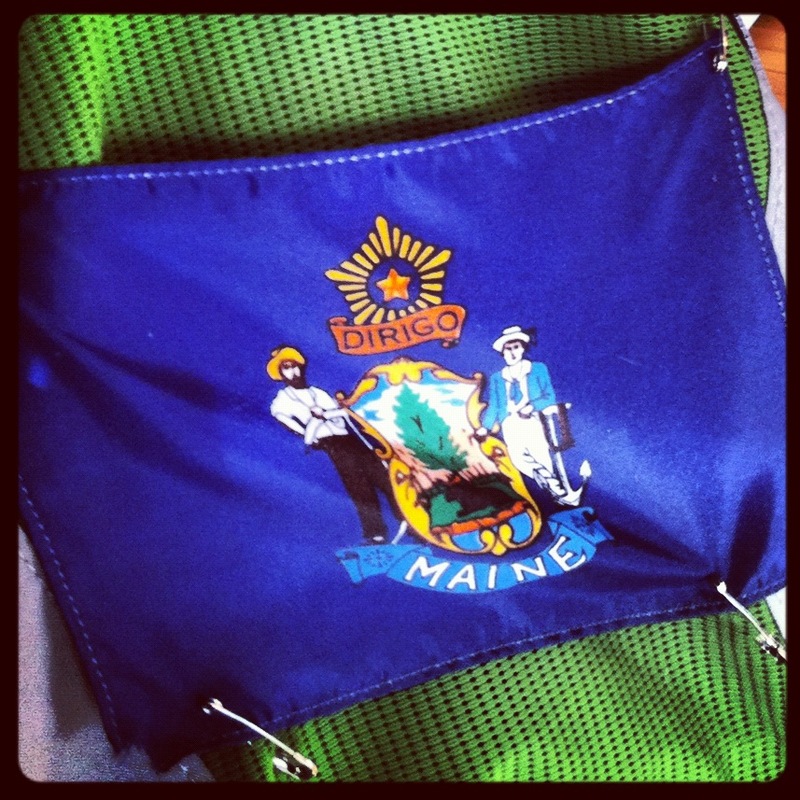 Every morning, every lunch break, every night I’ll see my little blue flag of the great State of Maine. I hope it proves to be a constant source of motivation and a reminder of all the friends and family I leave behind at home who are cheering us on during our hike. Born and raised in Maine, I hope that I’m lucky enough to complete my journey in this beautiful state I call home. The resolutions adopting the seal upon which this motto appears, give some insight into the meaning intended by the state motto: “…as the Polar Star has been considered the mariner’s guide and director in conducting the ship over the pathless ocean to the desired haven, and as the center of magnetic attraction; as it has been figuratively used to denote the point, to which all affections turn, and as it is here intended to represent the State, it may be considered the citizens’ guide, and the object to which the patriot’s best exertions should be directed”. I think the “figuratively used to denote the point, to which all affections turn” is especially poignant given your quest and stated rationale for your “little Maine flag”.